The complex maze of Saigon’s highway (yes, you also call her Ho Chi Minh City) is dotted with neon bulbs hanging off the verandas of old school French cafes, mastered by suave Francophile orderlies. From the top of high rises defining modern Saigon’s skyline, the land looks surreal, distant and melancholic. French and American tourists, choked with emotion and red faced, walk from the door of one war museum to other, trying to make sense of the failed politics that waged war in Vietnam during a prolonged period of colonial and recent past. The Japanese pagoda. Historically, Vietnam was invaded by the Chinese, French, Japanese and Americans! War leaves many memories, mostly dark, some nuanced. But in my mind, I know I am immune from all the Na palms of past, unless I tread into the unknown interiors of the country. 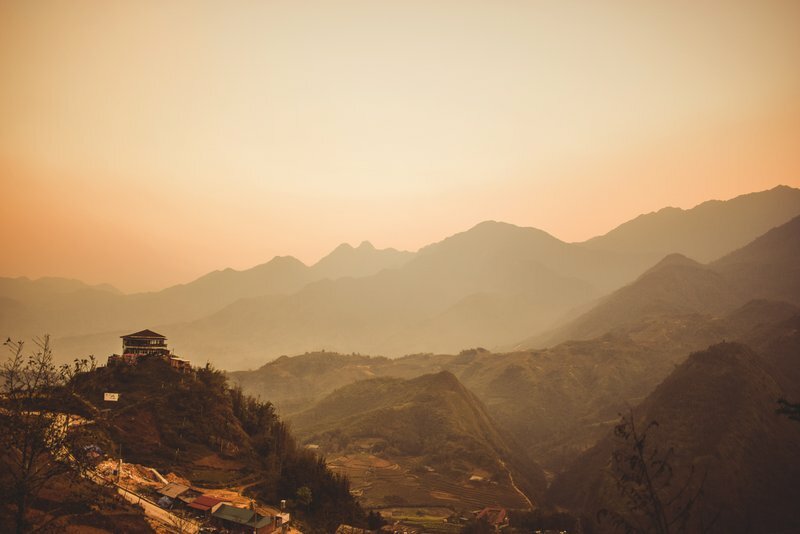 I close my eyes only to open them in the profound plunging valleys by the towering mountains of Sa Pa, a fairy tale land in the Western Fansipan mountain ranges of Vietnam. Sa Pa escaped raging escaped aggressive modernization (read westernization) sweeping off South East Asia. The dark skinned hill tribes Hmongs at Sa Pa protect ancient wisdom with life, and direct their energy to weave dainty indigo skirts, produce hydro electric power from indigenous know-how, sustain with resources provided by old pal Fansipan and live a content life. You trip to Vietnam will remain hollow until you have shared one meal of exotic meat from the Hmong home stays! Vietnam is a summary of striking odds, from sleek cities to untamed nature, from recent eventful and unkind past to ancient wisdom. The country has rewritten many political equations, ended unjust military invasion, adapted to socialist regime, and has produced visionary leaders like much beloved Uncle Ho. Eventually, Vietnam has come forward in the world map as a leading travel destination for backpackers to honeymooners to gourmet enthusiasts, no longer a penance pilgrimage exclusive to military veterans! The “Arriving” of Vietnam in Mainstream Travel Destinations: Why travel to Vietnam? Travel to Vietnam for Unspoiled Nature! Pho and Spring Rolls: Vietnamese Cuisine! Is Vietnam a Communist Country? How many days are required to travel in Vietnam (and see everything)? Which Mobile sim card for tourists is the best in Vietnam? What kind of electric plug is needed to charge phones/camera etc in vietnam? If you are a frequent flier to Thailand, you need to move your compass towards east of Indo China and stop at the serpentine curve edging the South China Sea. There, there you have Vietnam, the land of ascending Dragons. The eastern coast line of Vietnam hugs South China Sea. The north shoulders with China. On the West, you have quintessential presence of South East Asia, with Thailand, Cambodia and Laos waving hands jointly! From 2 million visitors at the onset of twenty first century to 16 million (last recorded international tourist arrival), Vietnam has made a phenomenal progress in attracting travelers across the globe! With 8 UNESCO World Heritage sites, ultra modern urban landscapes and sprawling nature fields, and the magic bowl of Pho Vietnam had it rather easy! Glenfiddich is Blase.. 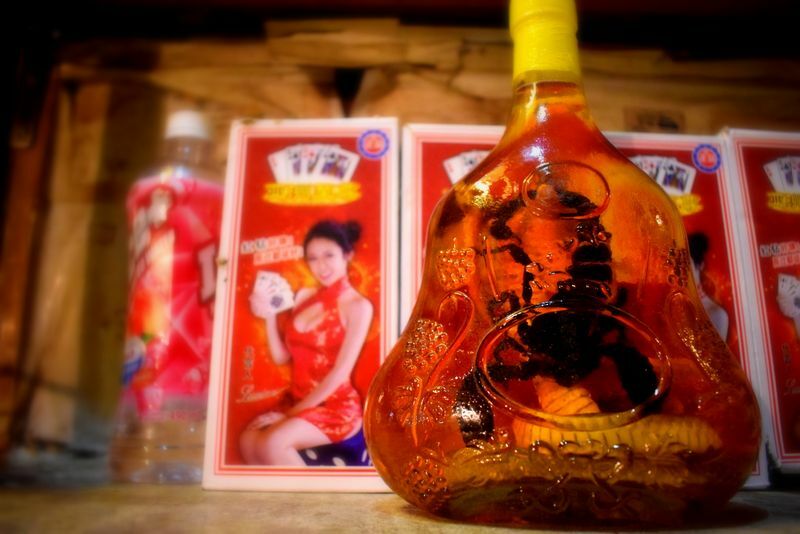 Legends drink Scorpion wine from the streets of Hanoi Old quarter! Do you remember the recent movie, Kong: skull Island? Did you find yourself stealing glances from the monstrous ape and gaping at the jaw dropping filming location? The limestone monoliths kissing sky unabashed. The plunge to the deep of the ocean? the prehistoric rain forest canopying human habitats made of bamboo and canes? That is the spectacular Vietnam that escaped savvy tourist trails for so long! But what I remember the most are the Vietnamese people, the warm genial smiling women and men from the road. Bollywood and my sarees as usual played a pivotal part as conversation starter. More often than not, our conversation had relied on universal body language. Smiles abound in Vietnam. English is not! Smiles came to rescue in learning table manners to eat Pho with chopsticks, eating the red chili in style that would later explode in mouth, trying the traditional outfit Ao Dai, searching for the real propaganda posters painted in bright red hue calling for an “equal distribution of wealth” world and bargaining for fair price. Besides, Vietnam harbors a deep engraved melancholy of thousands of lost soul in war. There is no denying to that. 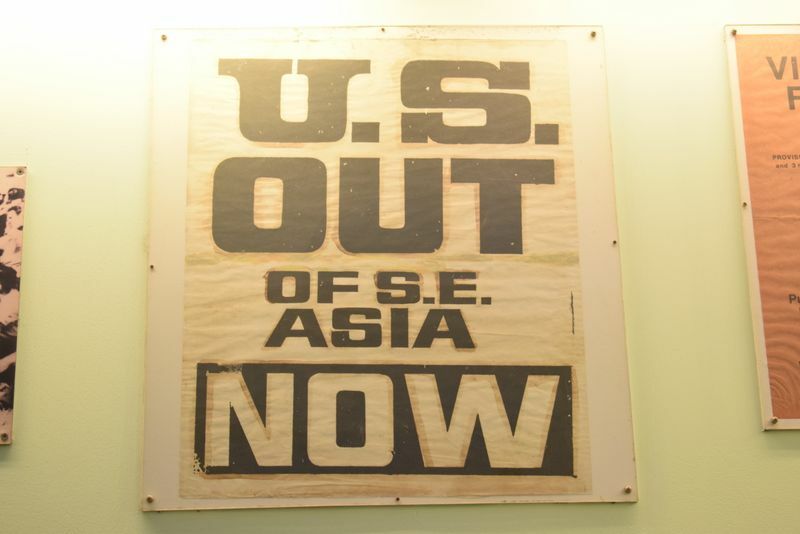 It has been 5 decades since the Vietnam war is over. Traces has been wiped down in the course of Saigon river. But if you listen carefully, you will know. A Zippo lighter dropped off a veteran’s pocket had following statement engraved, “We the unwilling, led by the unqualified to kill the unfortunate Die for the ungrateful. Nam 71-72.” I found the Zippo lighter office standing somewhere in Saigon. My reason to visit Vietnam came into a full circle. When I was a boy we didn’t wake up with Vietnam and have Cyprus for lunch and the Congo for dinner. I find it strange why I resonate so deeply with Vietnam war. Neither I am an American, nor my country had participated in the infamous war. Is it the movies like Apocalypse Now that instilled fear and awe about futility of wars? I am still trying to reason with it. But you shall hear me talk about the war many times in this series of Vietnam blog posts. The War remnant museum of Saigon also left a deep imprint in my mind. As an Indian citizen, I opted for Visa on Arrival for Vietnam. It is applicable only if YOU ARE FLYING INTO the country to the following airports: Hanoi, Ho Chi Minh City, Da Nang, Nha Thang. The applicant is to apply online here. An approval letter will be sent via email in a couple of days. Go to the immigration counter armed with a few photographs and you will be allowed to enter the country. there is no record of turning visitors back! You can always apply for Vietnam Visa from beforehand, get it stamped from embassy, through agencies like VFS. Apart from ASEAN countries, Vietnam needs visa for residents of each nationality (24 countries are exempted), even mighty US passport holders. British citizens and few more European countries (France, Finland etc) however can visit Vietnam and stay up to 15 days without applying for a visa. You may visit Phu Quoc island which does not need visa from international travellers for a period of visit up to 30 days. However, you shall need a valid visa to visit any other part of Vietnam. Passport validity is expected for at least 6 months before applying for a Vietnam Visa. Everyone is a millionaire in Vietnam! I remember the trying days as a Market researcher when I would have to adjust the 000 s of every consumption/transaction figure churning out of Vietnam. Say, you want to exchange one dollar, you will be returned 23,189 Dong (as off April, 2019. Dong is the official name of Vietnamese currency). Now multiply that with 100 while exchanging a 100 dollar change. I know, I was overwhelmed too! I mean Vietnam is one of the very affordable destinations where a great breakfast on the street will cost a fraction of a dollar. But to deal with thousands of Vietnamese Dong, Uncle Ho smiling from each Note, is a task for a newbie! Take up the challenge. Be used to with paying in “thousands”. Be careful of the changed received too! I prefer exchanging currency at an international airport. The major cities like Ho Chi Minh City or Hanoi (even Hoi An for that matter, a major tourist destination) has plenty of exchange shops lined up at tourist quarters. The high end restaurants and shopping malls and most of the hotels accept Visa and Master cards. If you only have Amex, you will struggle. Vietnamese Dong is actually a loanword from Chinese Dong Tien! Vietnamese is spoken everywhere in Vietnam. It is the official and national language. The modern style of writing Vietnamese has been influenced by French regime,with introduction and integrating the Latin Alphabets as writing medium. However, the old Vietnamese writing has cultural influence by classical Chinese language. English is understood partly. If you speak French, you chances of being understood is better. Of course, as a Chinese, odds of cultural and linguistic semblance wins over any other nation! Here is a list of useful words for Vietnam Travels. I suggest use Duo lingo, the app for learning basic Vietnamese words. The unassuming peasant guarding his golden harvest in a conical hat: the scene remains an iconic representation of Vietnam, the present day one party communist country. However, Vietnam has undergone multiple political upheavals from Chinese doctrine to French colonial age to American war on Vietnam to economic reforms for past thousand years: all of the incidents contributed in shaping Vietnam’s present day identity. The teaching of Chinese saint Confucius runs deep in every family in Vietnam. Their faith finds a way in worshiping the kings, the symbolic identities who won them independence historically. Viet Nam- The Name: the way Vietnamese prefer to call their country. Viet pertains to the ethnic group and Nam is South, thus Viet Nam combined is People of South. South pertains to the Southern land of China. One of the remarkable festival in Vietnam is Tet, celebrating the lunar new year. It is celebrated for a period of one week. Tet for 2020 is scheduled for the last week of January, to commemorate the year of the Rat! While War and colonial regimes has shaped the modern identity of the country, it left a mark in its cities too! Saigon, the erstwhile capital of French Indochina served as the capital of South Vietnam while North Vietnam was staging resistance. The focal point of North being now capital city Hanoi, both differs a lot in temperament and character. Watch out for the French dialect and socialist posters is the respective cities, you will know what I am talking about. I found Calcutta (Kolkata) in Saigon (Ho Chi Minh City), as every attraction unfolded. The same melancholy of a forgotten capital, a grand stage which has been stripped off the fame yet somber in appearance. 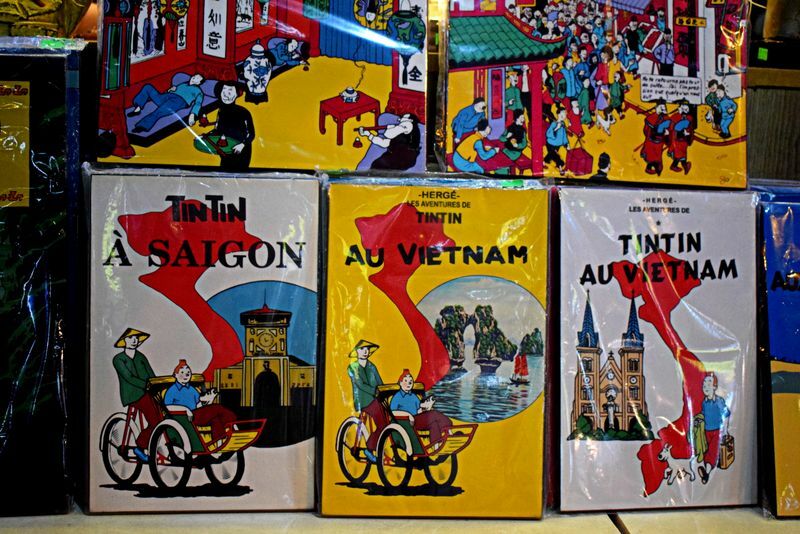 Ho Chi Minh City, old name Saigon, was the capital of French Indo-China and South Vietnam. These days, Saigon’s economic prowess has established it as a node of the financial destinations of SEA. River Saigon flows by its side. Tan Son Nhat International Airport, the gateway to Ho Chi Minh City, is crowned as the busiest for welcoming nearly 7 million yearly visitors. 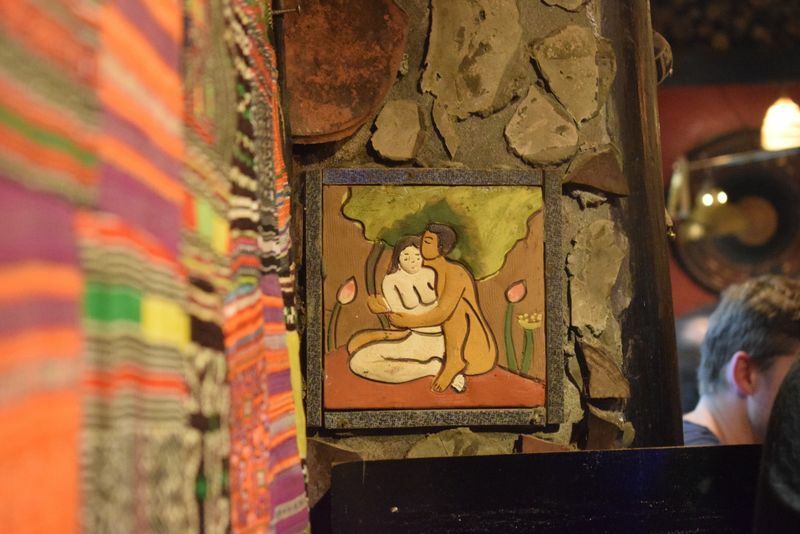 With French inspired art galleries and installations everywhere on the prime districts of Saigon, and institutions like Rex Hotel that served as the primal reporting center of the Vietnam War, the metropolis showcases a boiling pot of culture, politics and economic reforms. The wind touching you hair as you sit atop a sky high cocktail bar will surely bring mellow memories of afternoons spent at Cu Chi tunnels, a network of narrow escape routes used by the Viet Cong Guerrillas or the connected canal path on mighty Mekong river. Surge of emotion gets better of every informed visitor who steps into the war remnant museum. 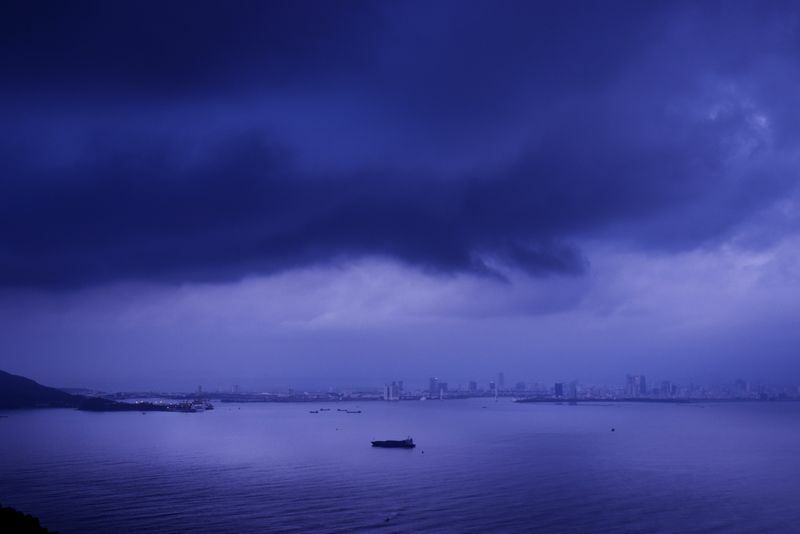 When it pours in Saigon, it feels like the end of the world! For a change of mood and more immersive (and authentic) cultural experience, take the next flight to Noi Bai Airport, Hanoi. Sip on the Pho, first thing in Hanoi to open a door to different cultural experience! The Vietnamese elixir broth is milder in price quotient in north, the wind is cooler. The tall skyscrapers from the western part of Vietnamese capital city has hardly shadowed the old quarters of Hanoi. That fact alone won over my mind. Take some time out to walk in the alleys of Hanoi’s old quarter, rendezvous with her in one of the coffeehouses welcoming all with those knee-high miniature chairs. You will be enlightened on the 1000 year old history of Hanoi, its epic originality despite strong French and Japanese political handling. The citadels, lakes, highly revered turtle: the great grandpa, prisons turned into museum, weekend markets, labyrinth of old quarter’s narrow lanes often lost at the doorstep of a settler will leave you perplexed. 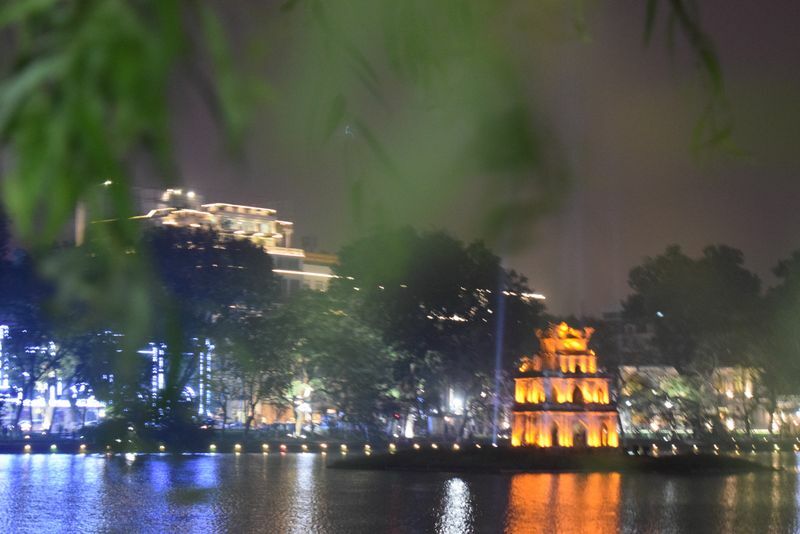 Here is a Photo Blog of Hanoi! 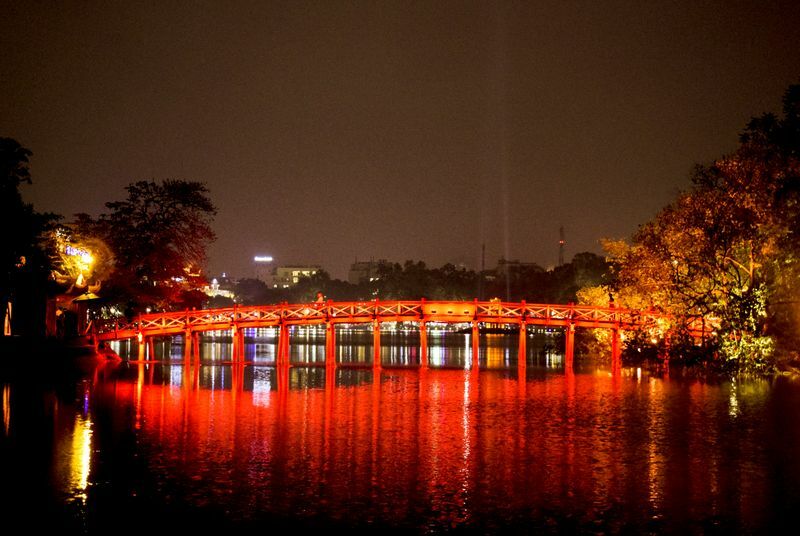 Did you know: Hanoi has been conferred the title “City of Peace”by United Nations! The new hot pad of digital nomads, Da Nang the port city of Vietnam is located right at the middle of the country’s east Coast. It has rapidly grown with real estate investments coming in and dominating the marine skyline! The Dragon bridge opens its mouth to connect the port town to the rest of the country and brings in people of the world. Da Nang is also located at a strategic point from where visiting Hue and old port town Hoi can be done as day trip! Do not let these emerging metropolis deviate your focus from the pristine display of unspoilt nature, preserved carefully in the interiors of Vietnam! There are epic untouched natural sights, acclaimed by the world. Vietnamese mythology associate the cluster of tiny islets on Gulf of Tonkin with a hatching nest of guardian dragons. For millennia, the limestone monoliths stood tall romancing northern wind force and harbored lush rain forest atop. Take it slow at Halong Bay on a traditional junk boat gliding over the emerald sea water as mystery lurks behind every island and mystic caves. Halong Bay has been justly designated as one of the UNESCO World heritage Sites of Vietnam and one of the new seven wonders of the world! It is often referred to as one of the new seven wonders of the earth. The Dragons did not just stop at the sea. They entered into the northern lands of Vietnam, claimed a place to rest by Trang An, also referred to as Ninh Binh. The karst lime-stones sit in peace by the serpentine course of the red river. 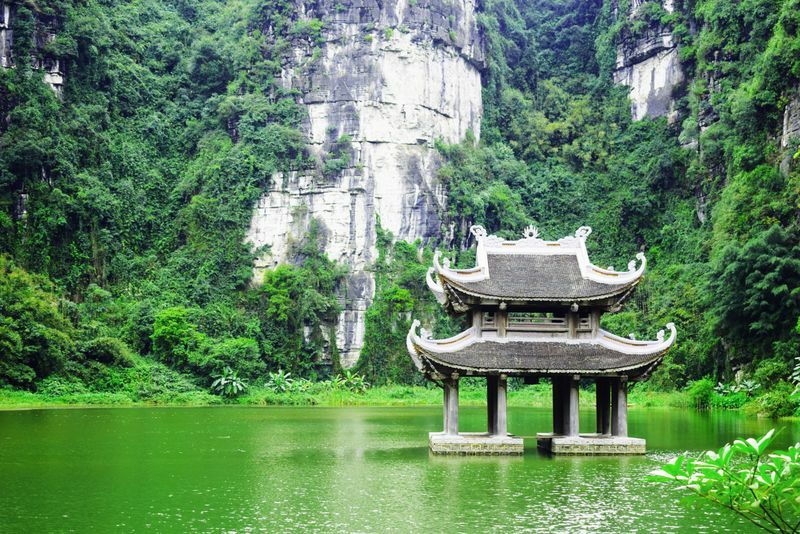 Often referred to as the “Halong on land”, Ninh Binh is also home to mountain goats and tribesmen. Local womenfolk has invented a curious rowing style with the legs while their hands are busy fiddling with mobile. Cannot say I was not impressed! The French found a dramatic canvas set at the mountains of Sa Pa, and owned it as the favorite hill station! The averse nature of Fansipan range of North West Vietnam, home to the Hmong tribesmen, has been tamed to fit into agricultural endeavors by introducing cascading rice techniques. the landscape becomes particularly alluring during harvest season. A plunging valley amidst towering mountain, beaming with green crops of the season! Sa Pa is also extremely rich in bio diversity. If you are experimental enough, you can try exotic meat meals from the local eateries! The mighty Mekong river, after flowing through and flourishing in return six countries in South East Asia and China, finally rests at the mouth opening to South China Sea! The Mekong Delta is one of the largest in the world. Population pressure has peaked in recent time resulting in increasing grip on the natural vegetation of the Mekong Delta. Locals now farm and live on the water. However, a quick trip to Mekong Delta in a boat will show you glimpses of narrow canal system amid dense tropical forest. The mountain town of Vietnam is a picturesque piece of French dream, with butterfly parks, elegant water falls, yellow manicured bungalows. Spring never leaves Dalat. the farms produce strawberries. Even the weasel poops tasty coffee beans, if you know what I mean! Rapidly coming up as the new age resort town of Vietnam, Mui Ne was once a small fishermen’s village. Resorts with landscaped garden by the sea shore now make that demand seem unreal though. The iconic sand dunes of Mui Ne remains where the shore line ceases. Renting one of the motor bikes that inundate the streets of Hanoi, you can actually tour the entire length of the country. Hai van Pass, a highway connecting the hinterlands between Hue and Hoi An is one of the most iconic riding trails of Vietnam. Mountains on one side and sea on the other make the road extremely scenic. Ditch the bike in case you want to embrace the train journey from Hanoi to Da Nang for a more authentic local experience. 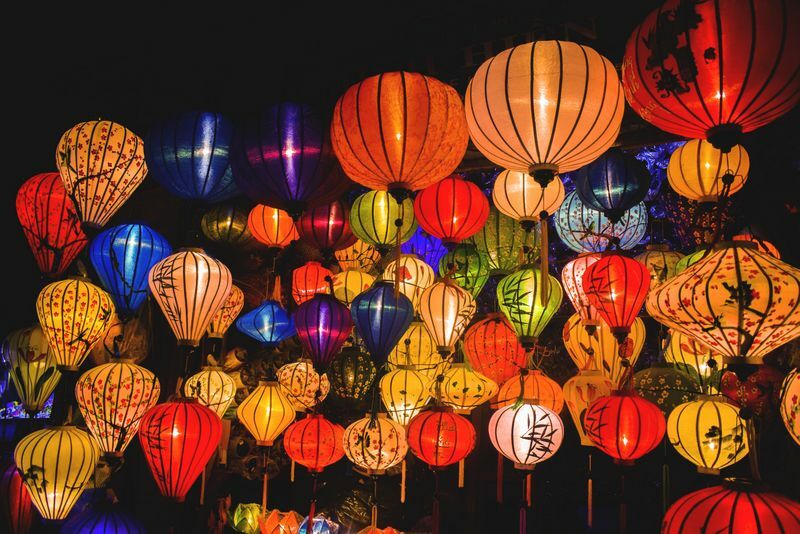 Hoi An is a splendid town colored with yellow walled small houses styled in old school architecture and decked up in paper lantern, coming alive as the Sun sets. The UNESCO designated old port town is too pretty to believe for real. Located very close to Hoi An is the ruins of an ancient Hindu temple My son, often touted as Vietnam’s answer to neighbor Cambodia’s Ankor wat! Well, I reckon the area covered is way less than Ankor architectural complex. Nonetheless, it is a thought provoking experience with ruined temple complexes testifying Hindu (The Champa Kings) relation from distant past. It was the carpet bombing by American air force that left the temple in dilapidated state. You will encounter the bomb craters which become short living ponds during rains. 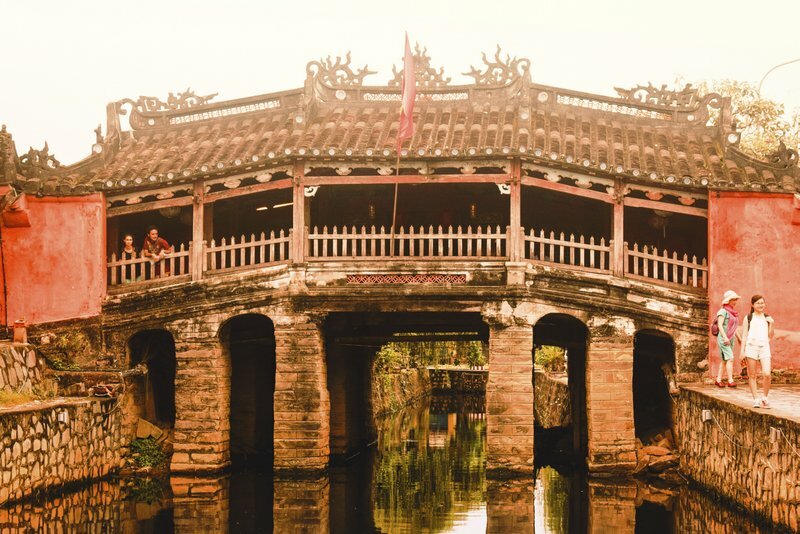 The ancient city of Hue’s soul lived in the Imperial citadel, surrounded by thick moats and sitting pretty by the Perfume river. The high walls safeguarded the forbidden city of Hue, only accessible to the king, his wives and a number of concubines. Vietnamese had created an ocean of mystery in the Pho bowl. It s the same elixir that rejuvenates Kung Fu Panda! A bowl of hot noodle soup containing the goodness of beef and herbs that Pho is, it serves as the perfect day break in Vietnam! The translucent spring rolls come a very close second. Beef was introduced to Vietnam by the French. However fish, especially fresh water fish is widely used in Vietnamese cuisine alongside sticky rice, fresh fruits and a bounty of fresh herbs. On the way to My Son, I spotted numerous houses with a kitchen garden in the front. Each house grows their own herbs. they are used in abundance in Vietnamese cuisine. The curious case of Vietnamese coffee will treat the caffeine addicts with a state of Cloud 9! Vietnamese coffee has a traditional touch of egg yolk and condensed milk, both being quirky addition and entitling the Vietnamese Coffee an aura of its own! List of the questions I frequently get asked about traveling in Vietnam. I have tried answering them all and will add more if I come across any. Vietnam is one of the 5 communist countries in the world (rest of the four are Cuba, China, North Korea and Laos). Does Vietnam being a communist country impact your travel style? Mostly no, unless you are there to street in a drastic revolution. Jokes aside, Vietnam implemented a series of economic reforms since 90s which have veered the country towards economic improvements, gradually inching it towards the aim of achieving a “developed country” status by 2020. We will wait! With a plethora of activities on offer and hidden garden of Edens under nature’s stronghold, Vietnam will keep you well occupied at least for two weeks. You need the time to traverse from Vietnam’s south to north and soak in the strikingly different cultural nuances. In my honest opinion, you will need a lifetime and more for “seeing everything” of country. Traveling is a diverse sprectrum with each traveler busy on her persol soul search. That said, if you are willing to slow travel in the incredible country that Vietnam is, a couple of months is a good place to begin. Guess what? Visa policy allow that too. Two months is what a Vietnamese grandma would prescribe for you to learn the art of making a perfect bowl of Pho. The elongated country that Vietnam is, nature plays on her own terms at different locations. While North Vietnam is cold during winter, South can be pretty demanding during summer and rainy season. Beware of Saigon rains at every cost. We were about to lose the flight back home! Generally speaking, Vietnam is best traveled between March to May. 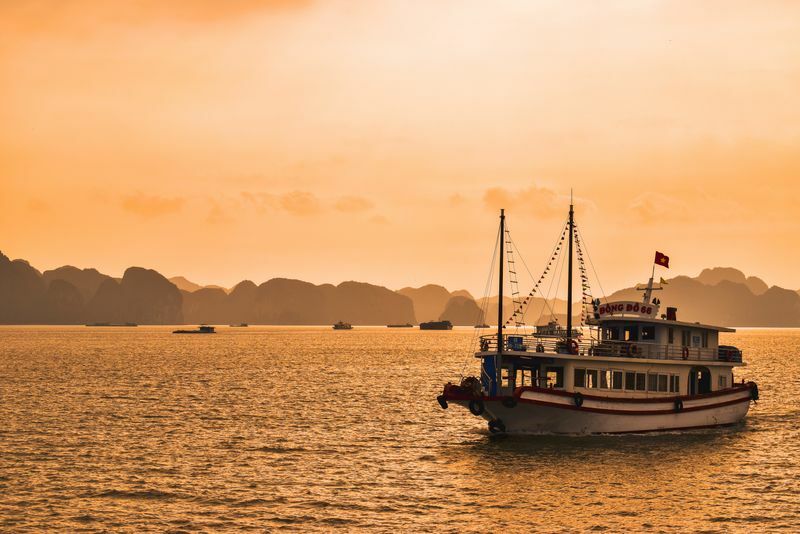 Certain areas like Halong bay may not be accessed in case of a cyclone alert. Apart from a few over enthusiast pushy vendors at Ben Thanh Market, Saigon, I never felt uncomfortable during our 20 days sojourn in Vietnam. Language barrier may be an issue in case you want immediate attention to an issue. I suggest keep google translate handy. The city wakes up with sunrise and sleeps by 10 pm. Though nightlife is rapidly changing with more international travelers frequenting places like Da Nang and Ho Chi Minh City. Vietnam is often sighted as one of the safest destination for solo woman travelers. 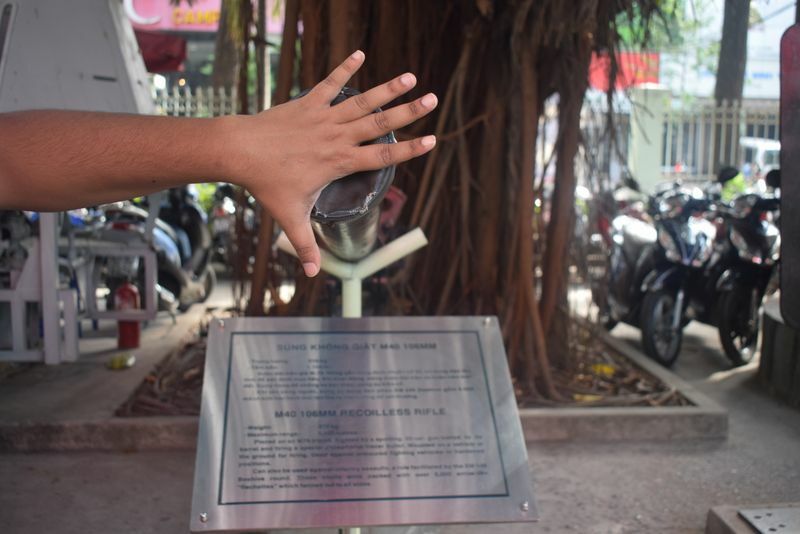 Recreating Ho Chi Minh’s legendary hand gesture on the mouth of a canon, indicating end of violence and war at war remnant museum, Saigon! However, the real issue of safety in Vietnam comes from the leftover ordnance left behind by the US armed forces. Countless mines are lying unexplored in the fields of Vietnam. Every year, a number of countrymen fall victim to that. Stay clear of the heavily mined areas of Vietnam, or trails that is not frequented by locals. “Never touch any rockets, artillery shells, mortars, mines or other relics of war you may come across. Such objects can remain lethal for decades. And don’t climb inside bomb craters – you never know what undetonated explosive device is at the bottom.” Quoted from Lonely planet. Purchase a local sim card as soon as you leave the airport. I used Mobifone. Except for the remote parts of Ninh Binh and trek down the local villages in Sa Pa, it served its purpose with decent 4G connectivity. I have also heard good reviews of Viettel, Vinaphone etc. A standard pack with sufficient data shall cost you close to $10. You can opt for top ups as and when you need. Hotels had smooth wifi connectivity as well. We took our universal adapter to be on the safe side. My observation is 3 pin plug points are missing (or of smaller size). Type A, Type C (the two pin chargers) will work. Buy an adapter in case you forgot. They are sold at bookstores. Train journeys in Vietnam are one of the most prized local experiences. The night trains from Hue to Hanoi and Hanoi to Sa Pa not only help you cover the large expanse of the country, but also saves on the bills on a hotel stay. Internal commute in the cities can be done by Motorbike taxi or taxis (Grab Taxis/ Uber). A special paddled rickshaw with seat placed as front facing is available in Ho Chi Minh City and Hanoi to cover short distanced point of attractions. Places like Hoi an or Ninh Binh in the interiors of Vietnam had bikes or scooties on hire! You can book your vehicle for a day or on hourly basis. The country has long suffered a war. There are myriad sentiments, especially in North that waged war against south. Though new generation in Vietnam are working hand in hand to achieve collective progress, an undercurrent of grudges an resentment is not unusual to spot, especially when you are conversing with the baby boomers. I recommend reading articles on the Vietnam war before even commenting on related topics. Military Tourism is a reality in Vietnam. People visit Dien Bien Phu, the DMZ (demilitarized one), Hue citadel where Tet Offensive took place, try to unearth a “real” zippo lighter from one of the bloodiest battlefield, often sit at the pillars caught in ripples of surging emotion. It is very likely to spot people crying at the war remnant museum. Kindly maintain sobriety when you visit. 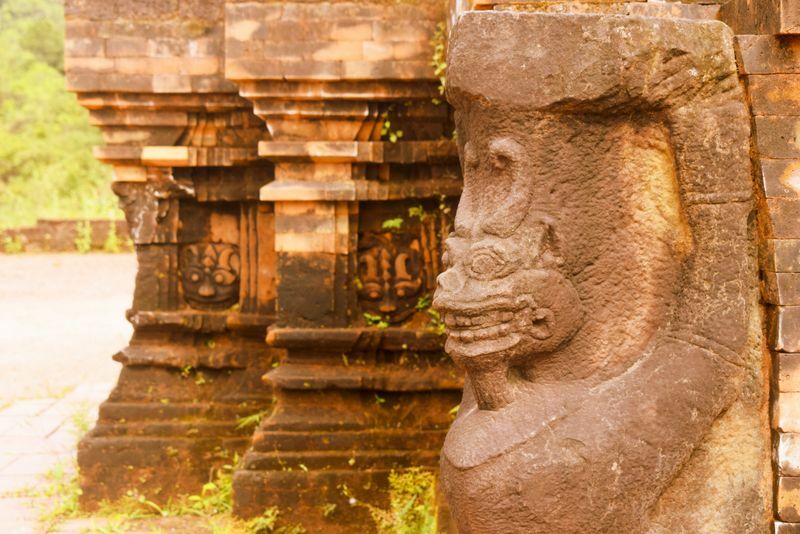 The ruins of ancient temples are often sacred by local belief. While driving in Vietnam is allowed by international driving license and specific type of visa permits, in rural area, hiring a bike is often relaxed, especially if that is for a day or few hours. You might have to keep your passport for a deposit. We are not exactly budget traveler. We like to spurge in a little every now and then for a nice cafe experience or see the inside of a museum. Your travel style can be different. The prices are indicative of a mid budget styled travel experience in Vietnam. 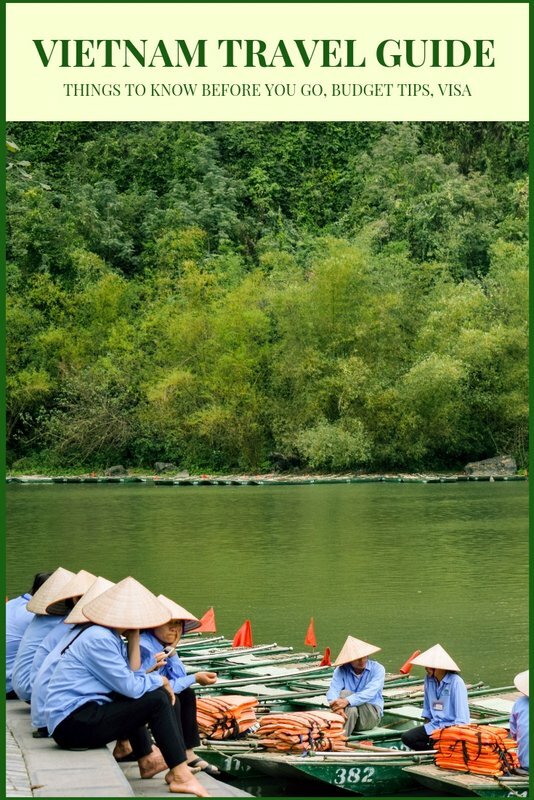 A very thorough overview of what Vietnam has to offer and experiencing the country. Great guide! We’ll probably be in Vietnam within a year and will definitely be consulting this. Thank you. Such an informative post :). I’ve visited Vietnam last year. So nice to see and read about things I’ve visited and things I still wanna visit when I go back! 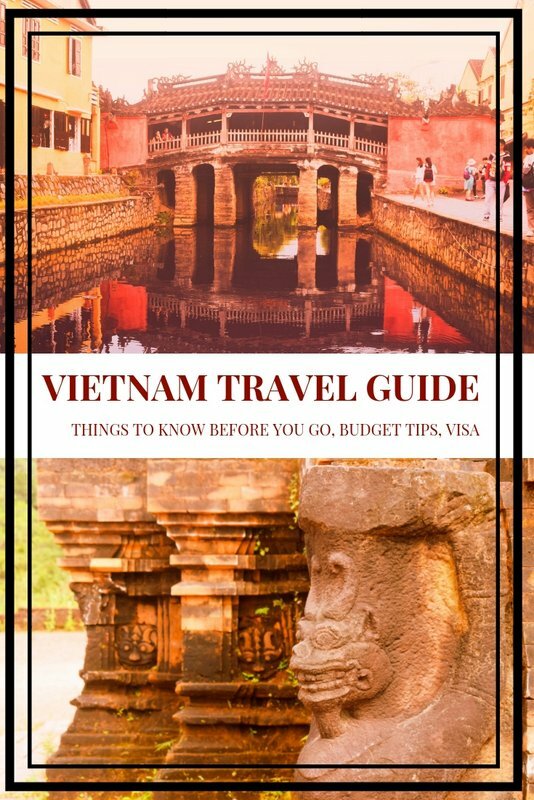 This is a wonderful and comprehensive guide on traveling to Vietnam. I have been to the country twice. Yet, I always feel I have not seen enough of it. 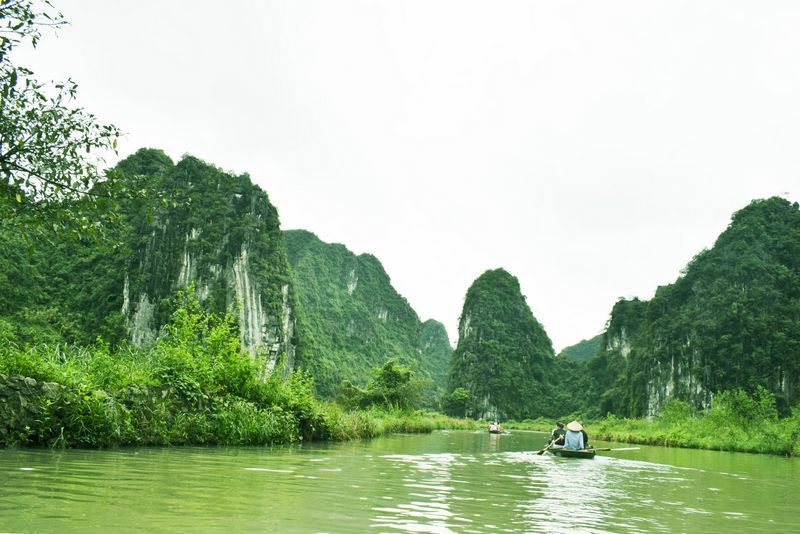 Ninh Binh and Sa Pa are still waiting to be explored. And you just made me want to get there sooner. What a wonderfully detailed post. I’m going to Vietnam this year for the first time and this is so helpful. Your photos are amazing. This is most definitely the most comprehensive post I’ve read about Vietnam! I’ll keep it pinned for when I get to go to Vietnam. Thanks Aga for putting it together. I desperately want to go to Vietnam! This post has convinced me to start planning and get there ASAP. It looks so beautiful and I would need to spend at least a few weeks there to see everything I’d like to. My happy place! I lived in Hanoi for 4.5 years in the 90s and love Vietnam like no other country. Great guide. What a brilliant travel guide. While we haven’t visited Vietnam yet its high on our bucket list and I’ve learned so much from this post. Thanks! That was such an atmospheric and immersive read. You’ve woven in so much useful and practical advice while still giving a detailed context of history and modern changes, such as the emerging Da Nang digital nomad community. Wow, what a comprehensive guide! I’d love to visit Vietnam soon so I’v bookmarked your post. Thanks! Oh, how I want to visit Vietnam! Fabulous post! Such a well written post over Vietnam trip. It’s good to see that you’ve included the trip cost which helps budget travelers to get approximate expenses on the tour. Such a thorough guide! 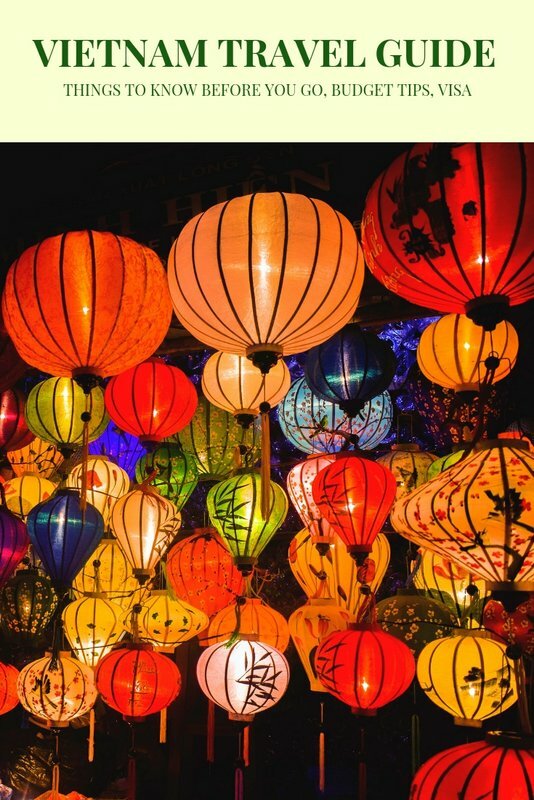 Vietnam looks like an amazing place to visit and this really helps prepare someone for their first trip! Very nice way described the guide. Great one. This is such a helpful, comprehensive guide. I always here about Hanoi and Da Nang, thanks for all the other great looking places to visit. Vietnam is on my list of travels. I would need your wonderful guide for this in future. I just saved this one. Thanks for sharing. “Vietnam is a summary of striking odds, from sleek cities to untamed nature, from recent eventful and unkind past to ancient wisdom.” I haven’t been to Vietnam, but these words make me want. Cam on Ban for writing this post, it’s such an extensive resource!